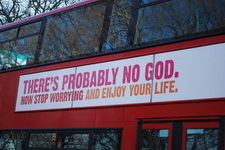 LITTLE ROCK, Ark (Reuters) – A coalition of atheists is accusing Little Rock’s city bus line of violating their rights to free speech in a fight to place ads on public buses praising a God-free lifestyle. The Central Arkansas Coalition of Reason alleged in a lawsuit that the Central Arkansas Transit Authority and its advertising agency are discriminating against the group because they’re being required to pay tens of thousands of dollars to put $5,000 worth of ads on 18 buses. Other groups, including churches, have not been required to pay the fee, which amounts to $36,000 in insurance in case of an attack on the buses by angry Christians, according to the lawsuit. A Chinese teenager was so desperate to acquire the new iPad 2 that he sold one of his kidneys for just £2,000 to pay for it, according to reports. The 17-year-old boy, identified only by his surname, “Zheng”, confessed to his mother that he had sold the kidney after spotting an online advertisement offering cash to anyone prepared to become an organ donor. “I wanted to buy an iPad 2, but I didn’t have the money,” the boy told Shenzhen TV in the southern province of Guangdong, “When I surfed the internet I found an advert posted online by agent saying they were able to pay RMB20,000 to buy a kidney.” After negotiations, the boy travelled north to the city of Chenzhou in Hunan Province where the kidney was removed at a local hospital which discharged him after three days, paying a total of RMB22,000 for the organ. Trading organs online is a common practice in China, despite repeated attempts by China’s government to stamp out the practice. Last year Japanese television reported that a group of “transplant tourists” had paid £50,000 to receive new kidneys in China. According to official statistics more than a million people in China need a transplant every year, but fewer than 10,000 receive organs, driving an almost unstoppable black-market organ trade that enriches brokers, doctors and corrupt government officials. 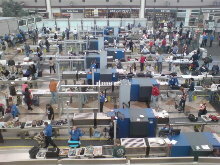 He used his access to security databases to include his wife on a watch list of people banned from boarding flights into Britain because their presence in the country is ‘not conducive to the public good’. Six days. That’s how long it took to build this level 9 Earthquake-resistant, sound-proofed, thermal-insulated 15-story hotel in Changsha, complete with everything, from the cabling to three-pane windows. The foundations were already built, but it’s just impressive. Despite the frenetic pace of construction, no workers were injured — and thanks to the prefab nature of the process, the builders wasted very few construction materials. 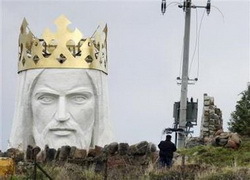 A statue of Jesus Christ that its builders say will be the largest in the world is fast rising from a Polish cabbage field and local officials hope it will become a beacon for tourists. The builders expect to attach the arms, head and crown to the robed torso in coming days, weather and cranes permitting, completing a project conceived by local Catholic priest Sylwester Zawadzki and paid for by private donations. Standing on an artificial mound, the plaster and fibre glass statue will stand some 52 metres (57 yards) when completed, taller than the famous statue of Christ the Redeemer with outstretched arms that gazes over Rio de Janeiro in Brazil, Polish officials say. The actual statue will measure 33 metres — Zawadzki has said this reflects the fact that Jesus died at 33, according to Christian tradition — and weigh 440 tonnes. “I’m happy because this project will bring publicity to our town, not only in Poland but also from the global media. Other countries are showing a lot of interest,” said Dariusz Bekisz, mayor of Swiebodzin, a town of about 21,000 people in western Poland some 100 km (60 miles) from the German border. DHAKA (Reuters) – Authorities in soccer crazy Bangladesh on Monday asked all manufacturing factories in and around the capital Dhaka to suspend operations each evening until the end of the World Cup in South Africa. “We have issued the order to the factories to switch off for five hours every evening in a desperate move to save electricity so people can watch the play on televisions,” said Saleh Ahmed, managing director of the Dhaka Electric Supply Company. “This is an undesirable decision from an economic point of view but we were rather compelled,” he told reporters. The month-long World Cup finishes on July 11. Although Bangladesh, ranked 157th in the world, lost 6-1 to Tajikistan in a two-legged first round Asian zone qualifier for this year’s finals, the country’s young and old, in urban and rural areas, just go crazy whenever the finals are held.